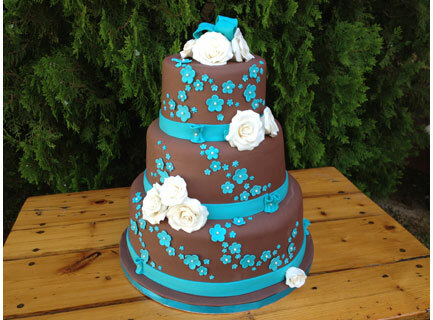 Chocolate brown, turquoise blossoms and white roses is beautifully set off against each other to delight a beautiful bride. On the inside you find chocolate sponge with chocolate mousse filling. Double delight!